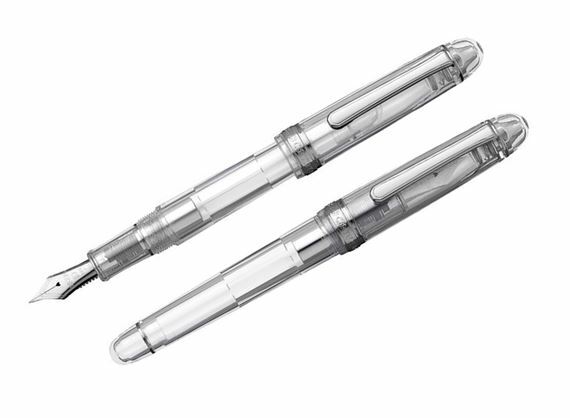 Order your Platinum Oshino 3776 Century Fountain Pen today from FahrneysPens.com. Fine Pens, Refills & Luxurious Gifts – great prices & fast shipping. Platinum celebrates the world's beautiful bodies of water with its coveted 3776 demonstrator fountain pens. The new Limited Edition 'Oshino' is the latest addition to the #3776 Century Demonstrator series. 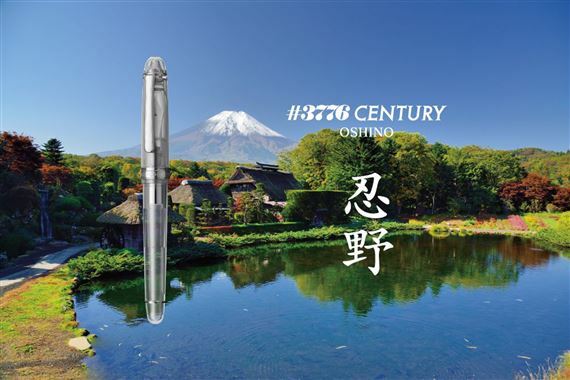 Created by pursuing a transparency like clear waters, this new fountain pen has been named after Oshino Hakkai, which is a famous destination for the beautiful springs sourced from the underground water of Mount Fuji. A special part with a motif of the Mount Fuji is placed at the crown of the pen. In addition, a method of etching is applied to the cap ring to provide a three-dimensional effect, which makes the pen even more precious. 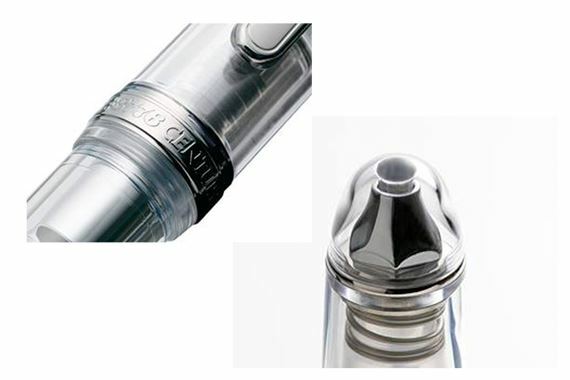 The Oshino has the slip and seal cap mechanism to prevent ink loss due to evaporation. The newly redesigned nib in 14kt gold with rhodium plating allows for a smooth and consistent pen stroke for a truly memorable writing experience. The first 3,000 Oshino come with a blotter card with a serial number. Cartridge/converter fill.